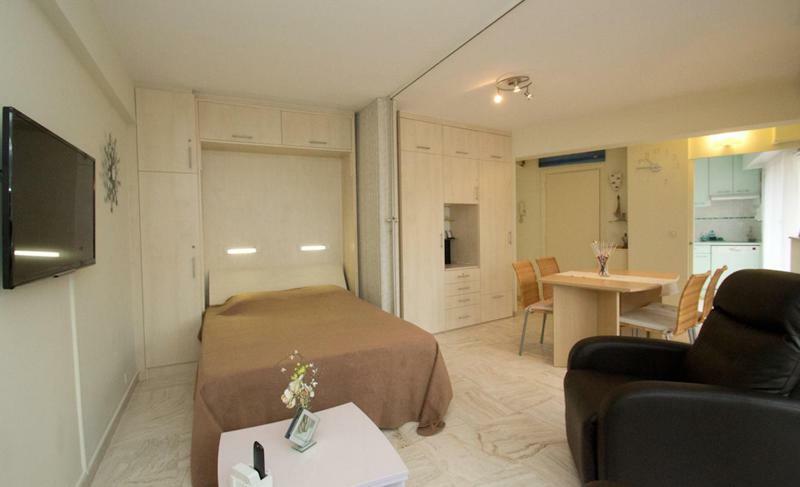 The CANA001405 is a small, yet cosy and bright studio apartment located just over the so-called 'Cannes Banana', a 10 minute walk from the convention center. The apartment is on the 6th floor (with elevator) and it is composed of a double bed, a living room with with a balcony, a fully-equipped open kitchen, a bathroom with shower and toilet. 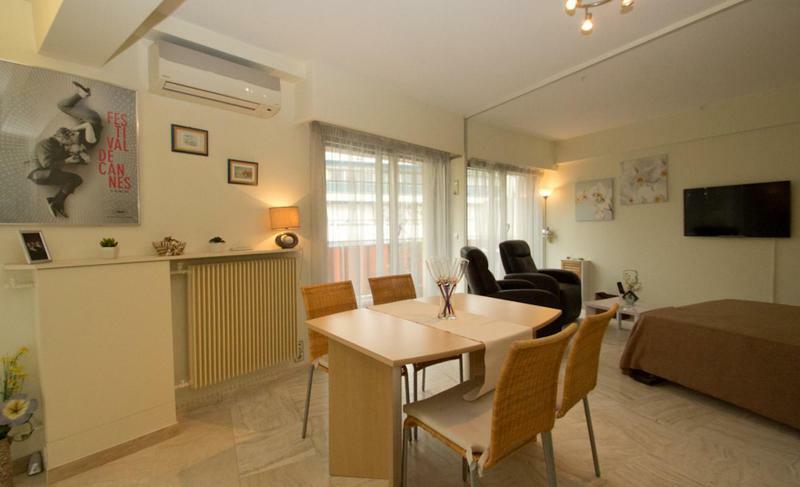 The apartment is well-equipped (TV, washing machine, air conditioning and WiFi.